SPARTANBURG, SC (courtesy converse.edu) — A new biosensor to help detect a genetic disease. The potentially carcinogenic effects of common herbicides. This sort of research may sound like the domain of large biomedical research labs, but it’s being conducted right here on the Converse campus. And some of the researchers aren’t old enough to drive. This summer, seven research teams spent nearly two months in the lab, then presented their initial findings to the Converse community. Each led by a faculty mentor, the teams were a mixture of high school students, undergraduates, a grad student and a high school science teacher. The research was funded primarily by a $626,000 grant awarded to Converse by SC-INBRE and the National institutes of Health (NIH). The purpose of the grant, called INBRE (IDeA Networks of Biometical Research Excellence) is to further biomedical research in underrepresented areas like South Carolina. The grant is administered by the University of South Carolina and involves a coalition of 17 South Carolina colleges and universities. For Converse, it is a unique opportunity to expose young people to authentic laboratory research and to mentor current and future science teachers. Following the presentations, Dr. Kim Shorter ’09, Assistant Professor of Biology at USC Upstate, discussed the increasing expectation for aspiring scientists and doctors to have had an independent or mentored research experience before graduating with their bachelor’s degree. 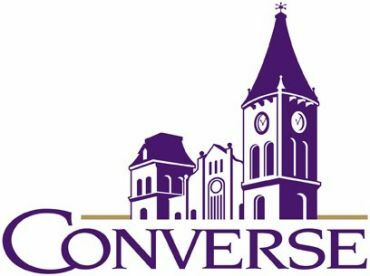 Converse has been leading the way in undergraduate research since the early 2000s, and Shorter is an early protégé of the program’s champion, Dr. Neval Erturk. Now a mentor to undergraduate researchers herself, Dr. Shorter understands the importance of early exposure to research on a more personal level than most. She credits her Converse research experiences with shaping her career path, dramatically shifting her aspirations from the medical profession to a life in the lab. Dr. Erturk’s vision for the research program also extends its reach into the Spartanburg community. Now in its sixth year and expanded with INBRE funding, the Science, Technology, and Research Scholars (STARS) program brings high-school-age scientists into Converse laboratories under the guidance of Converse faculty. Dr. Shorter sees many advantages for high school students to be involved in STARS: better preparation for higher learning, more competitive college applications, and deeper critical thinking skills. The INBRE grant also supports a new partnership between Converse and Furman University to offer a “Research Experience for Teachers.” Deborah Ezell, a science teacher at Chesnee High School, worked on Dr. Will Case’s research team to help develop a first-generation biosensor for the detection of galactose, a sugar that cannot be metabolized by those with the genetic disorder galactosemia. For Deborah, the link between this laboratory research and her effectiveness in the classroom is clear. Deborah worked side-by-side with Dr. Case and her teammates, cleaning electrodes, making enzyme solutions, analyzing data, and participating in decisions. She then put the principle that powered their biosensors to work in a learning module for her classroom. Her students will create lamps out of fruits and vegetables, which produce the same type of reaction when conducting electricity. She and Dr. Case presented the learning module in a workshop for regional teachers and have submitted an article for publication in a peer-reviewed journal. She found the experience both humbling and empowering. In order to truly impact the way K-12 science is taught, the vision must be shared with the next generation of science teachers. During the summer, Jessica Wilkerson, a second-year Master of Arts in Teaching (MAT) student at Converse, shared her passion for science by leading a research team of students from Legacy Charter School in Greenville. Under the guidance of Dr. Erturk, Jessica and her students investigated the antibacterial effects of herbal extracts such as oregano. Despite an hour-long early-morning bus commute every day, Jessica’s students caught the research bug, sharing Jessica’s enthusiasm during their presentation. “My students thanked me for not only teaching them the basis for conducting research but also for showing them that research can be fun and innovative,” Jessica said. As the summer program came to a close, Converse College Provost Dr. Jeff Barker presented the high school student researchers with a certificate honoring their achievement, and warmly encouraged them on their research journey. Each research team will present their findings to peers and experts in scientific conferences around the region during the 2016-17 academic year.